Country music’s wildest party of the year turned it up a notch as hosts ErinAndrews and J.J. Watt led a star-studded event at the “2016 CMT Music Awards” live from Nashville’s Bridgestone Arena. Carrie Underwood owned the night, winning “Female Video of the Year” and “CMT Performance of the Year” for “Smoke Break” and surpassing her own record for the most wins in the show’s history with a grand total of 15. Tim McGraw scored his first-ever “Video of the Year” win, the biggest award of the night, marking his first win since 2005. Blake Shelton nabbed the inaugural CMT #SocialSuperstar Award, honoring artists that are pioneering social media as a tool to regularly interact with fans through a multitude of platforms and apps. The show kicked off with a triple shot of star power. Keith Urban and tour mates Brett Eldredge and Maren Morris performed “Wasted Time,” followed by Billy Ray Cyrus and Cheap Trick with a mash-up of “Don’t Be Cruel,” a nod to his starring role on “Still The King,” and “Surrender” right in the heart of Nashville’s downtown, overflowing with fans on the streets and rooftops. Pitbull then carried on the party inside the Bridgestone Arena with a one-time-only performance of his hit “Messin’ Around” with female powerhouses Leona Lewis and Cassadee Pope. The evening was dominated by killer collaborations, including Little Big Town and Pharrell Williams (“One Dance”), Blake Shelton and The Oak Ridge Boys (“Doing It To A Country Song”/“Elvira”), Dierks Bentley and Elle King (“Different For Girls”), Fifth Harmony and Cam (“Mayday”/”Work From Home”). Other must-see performances included Carrie Underwood (“Church Bells”), Chris Stapleton (“Parachute”), Florida Georgia Line (“H.O.L.Y.”), Jason Aldean (“Lights Come On”), Luke Bryan (“Huntin’, Fishin’ and Lovin’ Every Day”) and Thomas Rhett (“T-Shirt”). Go to CMT.com to watch and share performances. Keeping with show tradition, the Awards featured a short film produced by CMT that spoofed the production with hosts Erin Andrews and J.J. Watt working in CMT offices and being interrupted by CMT “employees” Luke Bryan, Florida Georgia Line, Jason Aldean, Darius Rucker and Billy Ray Cyrus, with special appearances by Ashton Kutcher, Mila Kunis and former host Kristen Bell. Fans also raised their glass to the real outlaw and king of Bakersfield Merle Haggard in a tribute eloquently delivered by Dierks Bentley. This year, the “CMT Music Awards” featured a second concert stage sponsored by Firestone that included performances from some of country’s hottest new artists including Brothers Osborne, LOCASH, Maren Morris and Michael Ray. Presenters included actors Vince Vaughn, Rob Riggle, Billy Gardell and Chad Michael Murray (both from CMT’s forthcoming “Million Dollar Quartet”), radio personality Bobby Bones, CMT personality Cody Alan, NASCAR driver Danica Patrick, country artists Charles Kelley of Lady Antebellum, Chris Janson, Cole Swindell, Dan + Shay, Kellie Pickler and Kelsea Ballerini; pop singer Leona Lewis as well as actors Joey Lauren Adams and Madison Iseman from the new CMT series “Still The King,” which premieres June 12th. 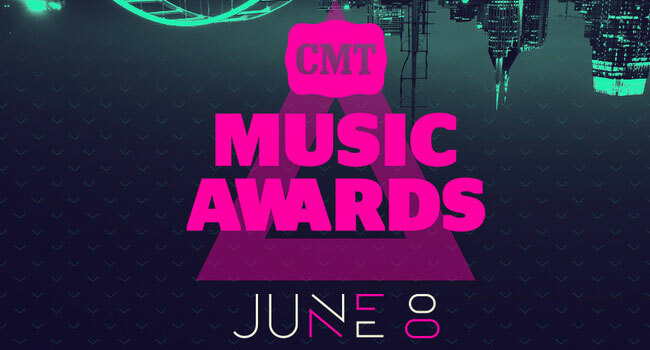 Additional airings of the “CMT Music Awards” include the following: Thursday, June 9th at 10 a.m. and 10 p.m.; Saturday, June 11th at 12 p.m.; Sunday June 12th at 6:30 a.m. and 11 p.m. All times are ET/PT.